If you have kids, you will understand why having a playroom is a good idea. For the sake of your sanity, and theirs, I would highly recommend turning your spare room, shed or a corner of a family room into a play area. Doing so will give your kids the space they need to really relax and enjoy themselves. It will also stop your house from looking like a huge toy store, all of the time. Creating a space like this does not have to be expensive. Often you can use items that you already own, and buy the other materials you need from cheap sources. The first, and most important, step is to make the space you are planning to use as safe as possible. That means removing any sharp edges, installing a non-slip floor, eliminating risks such as blind cords and installing safety features like a smoke alarm and window locks. 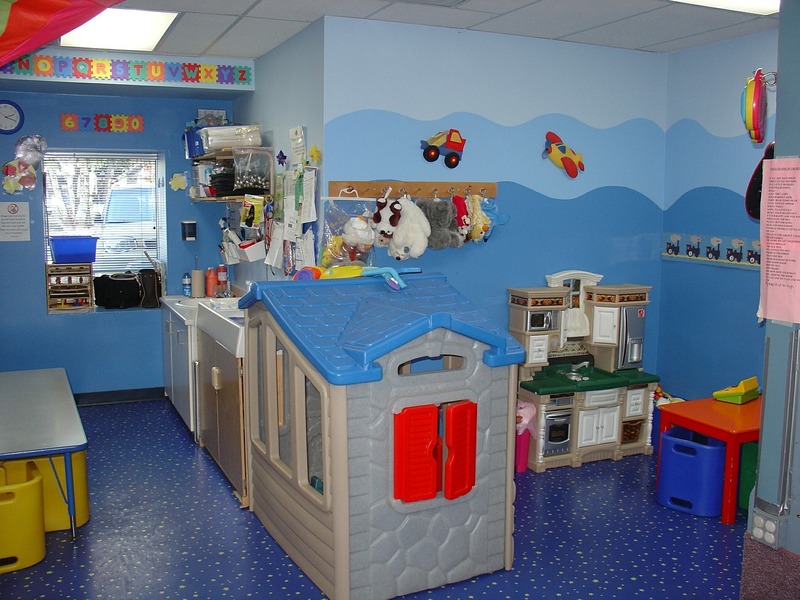 This page covers the subject of child proofing a playroom in more detail. We already mentioned installing anti-slip flooring. For this, engineered wood floors are often a good option. This type of flooring is inexpensive, easy to lay and not hard to maintain. It is not as warm as carpet, but is also not cold, and hard like tiles. The best approach to a playroom is to paint the room rather than wallpaper it. That way any marks can easily be wiped away. Just be careful to use the type of paint that can withstand being cleaned with harsh products. If you want to, you could turn one of the walls into a large chalkboard. Providing them with a large whiteboard is another option. However, it is probably wise to wait until your children are old enough to understand that they can only draw on the chalk or whiteboards. The last thing you need is them getting confused using all of your walls as a space for their artistic handiwork. You can add interest to the walls using wall stickers, or custom traffic signs like the ones you can buy at roadtrafficsigns.com. Alternatively, if your kids are good at art, let them design a mural and paint it with them. Another important consideration is keeping the space tidy and organised. Some parents are happy for their children to leave their toys lying about provided they only do so in the playroom. Others want their children to put everything away before tea. Which approach you take is up to you, but either way it is a good idea to provide your children with some storage space. Doing so ensures that delicate or expensive toys can be stowed away. You need to make sure that they storage solutions you provide are safe, and easy for your children to use. The last thing you need is for one of your children to be pinned under a heavy wardrobe, because it fell over when they were climbing up the shelving section to reach a favourite toy. Sealable plastic storage containers, toy chests and low-level drawer units are all good ways to provide space for your children to put their toys away when they are not in use.